There’s no doubt that the way Australia engages with China is the most important issue in Australian foreign relations; important in the sense of combining complexity and consequence. Under Xi Jinping some of our comfortable assumptions from the 1990s and early 2000s that China’s economic growth and its integration into the international system would soon make it more like us have proved illusory. In reinforcing Communist Party control and discipline and limiting areas of public debate, Xi has forcefully reminded us of the clear systemic differences in the way the Chinese party-state operates, the demands it makes of its citizens, and the values it seeks to impose. Xi is certainly the most ambitious Chinese leader in decades. He has moved decisively away from Deng Xiaoping’s injunction to China to hide its capabilities and bide its time, and is seeking a larger international role and greater influence. In an important recent statement with the snappy title ‘Study and Implement General Secretary Xi Jinping’s Thought on Diplomacy in a Deep-Going Way and Keep Writing New Chapters of Major-Country Diplomacy with Distinctive Chinese Features’, State Counsellor Yang Jiechi wrote that Xi has “pointed out in explicit terms that we are closer than ever to the centre of the global stage”. China sees itself as a great power. This shift was inevitable. It’s hard to hide and bide when you’re already the largest economy in the world by PPP measurements. Xi and his colleagues are using nationalism as a way of strengthening the party’s legitimacy, or at least avoiding its being outflanked on the patriotism scale by a public which is increasingly proud of China’s achievements. I’ll take it for granted that we can agree on the importance of the Australia-China relationship. China is systemically important to the health of the entire international economy, the largest contributor to global growth since the Global Financial Crisis of 2008. In a security sense, too, the scale and nature of China’s activities are transforming the international order. 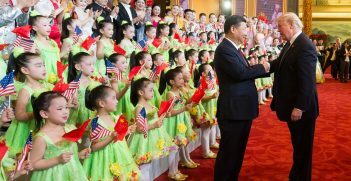 It’s hard to think of a major issue – the North Korean nuclear program, maritime security in East Asia, development challenges in the South Pacific, climate change – that doesn’t involve China in some way. Important aspects of Australian domestic policy, as well, including budget sustainability, the foreign investment regime, the viability of the tertiary education system and social cohesion, have a vital China dimension to them. So, how should Australia approach and conduct its bilateral relationship with China? We have never had to manage a relationship of this complexity before. Never. Nothing like it. We have a surprisingly solid place to begin, however, in the formal declaratory positions of the Australian governments led by Kevin Rudd, Julia Gillard, Tony Abbott and Malcolm Turnbull. These have been remarkably consistent. The core of the policy response has been to acknowledge that China’s rise is both legitimate and welcome but to note that the world into which China rises needs to be one in which agreed rules are kept, all voices are heard, and China acts responsibly. Of course, a great number of tough, complex policy choices then follow. But knowing clearly what you are after is an essential starting point. More contestable has been another bipartisan continuity: the declaration that we don’t have to choose between what John Howard called our history and our geography; our strategic alignment with the United States or our economic ties with China. All our political leaders have offered versions of that bromide. 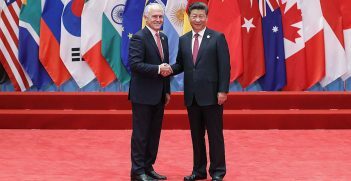 Malcolm Turnbull most recently said that a choice between Beijing and Washington was an “utterly false choice”. But that’s true only in the sense that Australia is unlikely ever to be confronted with an ultimatum asking it to choose between preserving its trade with China and formally abrogating the ANZUS treaty (or to agree to do so if we were). 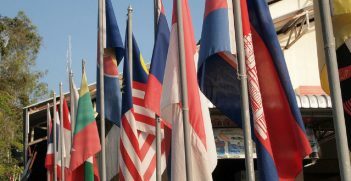 In the real world, however, Australia is choosing every day: to sign on to the Belt and Road Initiative, to conduct freedom of navigation patrols in the South China Sea, to urge one course or another on our Southeast Asian neighbours. And these choices will sharpen as the stresses in the relationship between Washington and Beijing increase. How and to what degree should we make known in Washington our views on US threats to impose penalties on Chinese trade? In order to make effective choices in all these areas, we’re going to need much better insight into the thoughts of Chinese policymakers and the processes of Chinese policy making. Ideas and fresh approaches are going to matter more as the easy years of the resources boom fade behind us and we need to work harder to cement our interests in China. We need to understand China as well as we do the United States, not because we will always agree with it but because we have more chance of shaping its behaviour if we are engaged and knowledgeable than if we are not. As China moves further, as it inevitably will, to develop and shape multilateral institutions, we need to be there to help reinforce open and inclusive trade and economic norms, to support high environmental standards, to make the case for all voices to be heard. We won’t achieve that by shouting from the sidelines. The investment of time and education this will require from our political leaders, officials and business people is enormous. We are seriously unprepared for this. Differences in values and government structures inevitably make the task more difficult and affect the intimacy of our engagement. And it’s true that we would feel easier if we were able to watch a Chinese equivalent of Alec Baldwin satirising Xi Jinping on China Central Television, or see independent investigative journalists reinforcing the anti-corruption campaign. But it’s not just China which confronts Australian policymakers with the challenge of determining how and where to argue for the values which are important to us. Apart from Australia and New Zealand, all the countries in East and South Asia, including Japan and India, rank somewhere between flawed democracies and authoritarian regimes in the Economic Intelligence Unit’s broad-based 2017 democracy index. The depressing news is that in country after country it’s getting worse. But that’s where foreign policy comes in. The role of foreign policy is precisely to manage differences. And the world we are moving into, more nationalist, more protectionist, more nativist—post-truth and post-Trump—is one in which the functions and traditions of foreign policy, marginalised in recent decades, will be increasingly relevant. I called this speech ‘How Now? Kowtow?’. In other words, does the weight of a rising China, important to Australia in many different ways, force us into some sort of tributary relationship with Beijing. The answer, of course, is ‘no’. Within the broader scope of statecraft, the work of foreign policy is to expand the space in the international system within which our country can operate and to make sure that at critical points it has choices, that it is not forced or coerced into certain responses. That involves diversifying our markets and partners. Foreign policy emphasises sovereignty, reciprocity and negotiation. It considers issues through a comprehensive prism, balancing, weighing and incorporating the different parts of the relationship: the purely bilateral elements and the common international objectives, the economic and the strategic, the values and the interests. It then pursues these national objectives through creative diplomacy. Diplomacy is a skill set not a profession, and it is exercised by policymakers as much as officials. It involves intense interaction and works towards the slow building of trust. Those elements are precisely what Australia needs if it is successfully to conduct its bilateral relationship with China. We need deep engagement, discipline, patient trust-building, balanced reciprocity, bearing in mind our different systems and interests, and an insistence on non-interference in our domestic political processes. With China, we know that what works best is consistency of message, delivered clearly but in an atmosphere of mutual respect. China is by no means alone in this. To state this objective isn’t hard. But its effective execution will be one of the most difficult and consequential things we’ve had to do as a country. 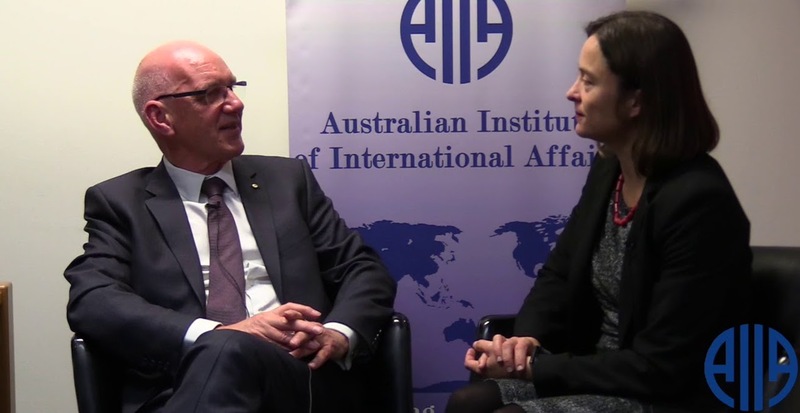 Allan Gyngell AO FAIIA is incoming national president of the Australian Institute of International Affairs. He is a fellow of the AIIA and an honorary professor with the Coral Bell School of Asia-Pacific Affairs at the Australian National University. This is an extract and interview regarding a speech presented by Allan to the ACT Branch of the AIIA on 12 September 2017. A full copy of the speech can be read here.